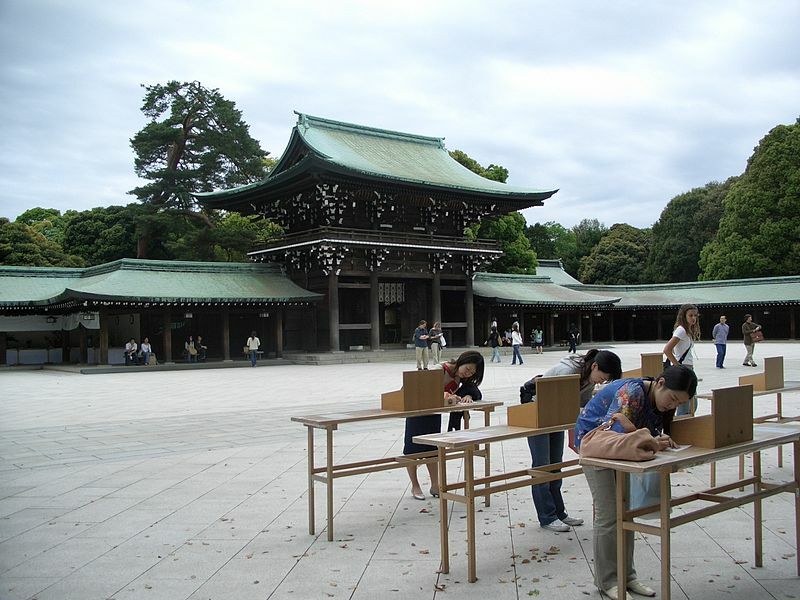 Meiji Shrine, dedicated to the deified spirits of late 19th century Emperor Meiji and his wife is the most famous shrine in Tokyo. In this wonderfully serene and austere shrine the city sounds are quickly replaced by a tranquil forest. 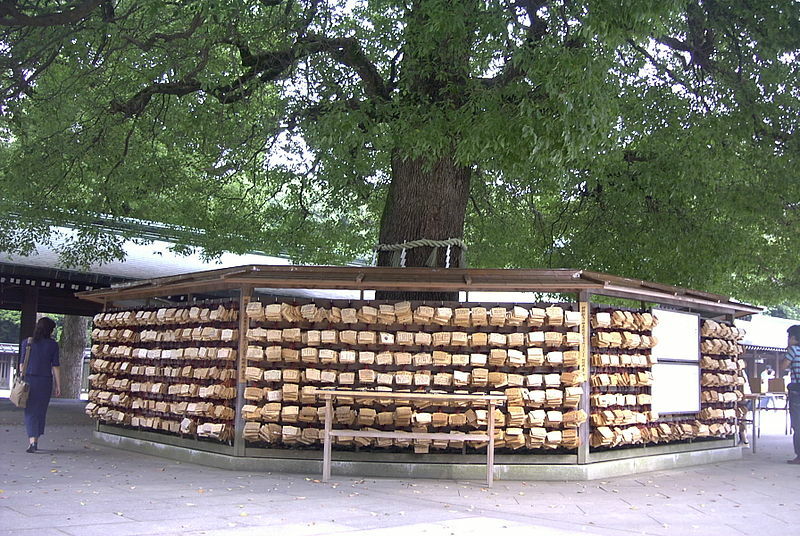 The approximately 100,000 trees that make up Meiji Jingu's forest were planted during the shrine's construction and were donated from regions across the entire country. 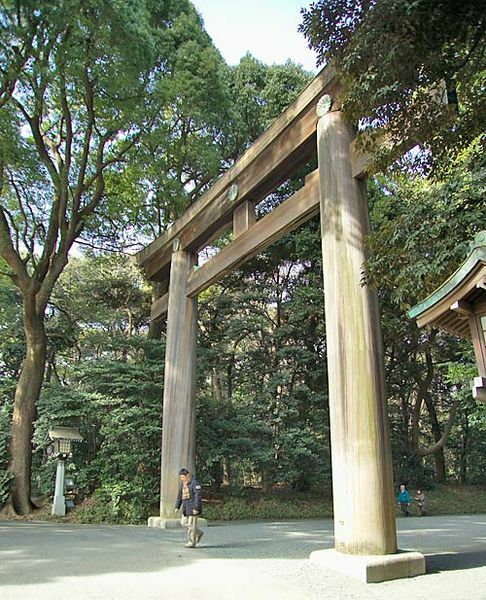 The 40-foot-high (12-meter) torii gate at the entrance to the 200-acre park is made of 1,500-year-old cypress, and there's a second one like it closer to the shrine itself. You can dip into a communal water tank and purify your hands and mouth before offering up a prayer. Write your wishes on little pieces of paper and tie them onto the prayer wall. Or do as the locals do — toss some yen into the offering box near the enormous taiko drum, bow your head twice, clap twice, and bow once more. On Sunday mornings you´ll have a good chance to see a traditional Japanese wedding procession through the courtyard — the bride and the groom walking together under a big red parasol, with Shinto priests leading the way and the rest of the wedding party trailing behind. The main complex of shrine buildings is located a ten minute walk from both the southern entrance near Harajuku Station and the northern entrance near Yoyogi Station. 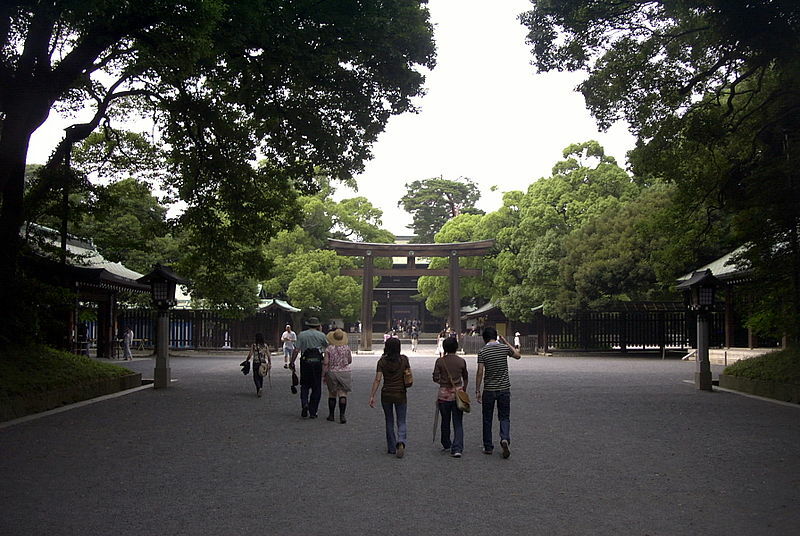 Entry into the shrine grounds is marked by a massive torii gate.